Early recognition of cardiac arrest is critical to enable rapid initiation of bystander cardiopulmonary resuscitation (CPR), while awaiting for the arrival of professional rescuers.1 Dispatcher personnel should enhance the capability to early identify a cardiac arrest upon the witness calls and to assist and instruct the bystander in the provision of CPR manoeuvres, through the so called “telephone-assisted CPR (T-CPR)”.2 Indeed, T-CPR has been shown to significantly increase the rate of bystander CPR together with outcome of cardiac arrest.1, 2, 3 However, little was known about the T-CPR diffusion in Italy. 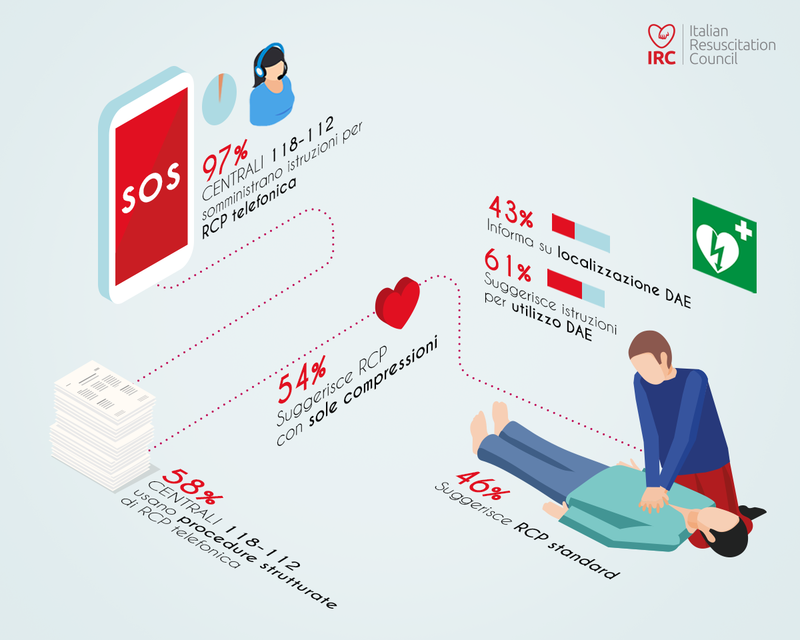 Thus, Italian Resuscitation Council (IRC) conducted a nationwide survey in order to evaluate the current implementation of the dispatcher-assisted T-CPR throughout the Italian 112-Emergency Medical Systems (EMS). All the EMS in Italy registered on Ministry of Health Website4 were directly contacted and interviewed by telephone, between 15 Sept and 15 Oct 2016. The survey questionnaire covered the following topics: the provision of instructions for T-CPR and of directives for chest compression only (CCO) or CC plus ventilation; the presence of a standardized procedure; and guidance for AED localization. Finally, the year of activation of the dispatcher assistance for the bystander caller, was requested. Seventy-nine out of the 79 Italian EMS answered to the questions, letting the survey to be a representative for the nation with a 100% response rate. The instructions for bystander T-CPR were routinely deployed by 97% of the EMS, although it was included as a standardized procedure only in 58% of the centers. 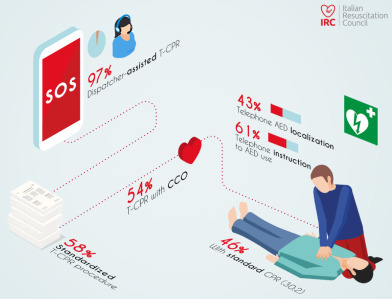 T-CPR assistance included CCO instructions in 54% of EMS and guidance for AED localization during the telephone call in 43%. In the instance of the presence of an AED, 61% of EMS guided bystanders through its use. 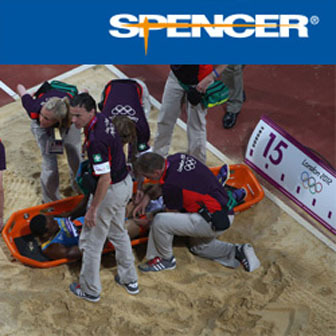 The maximal implementation of the dispatched-assisted CPR in Italy occurred between 2006 and 2010. Conflict of interest statement – Samantha Di Marco, Federico Semeraro, Andrea Scapigliati, Adriana Boccuzzi, Marco De Luca, Brigida Panzarino, Walter Cataldi, Silvia Scelsi and Giuseppe are members of Italian Resuscitation Council Executive Committee.